The Room has been around for a good number of years at this point, but, like most games at the moment it seems, now finds its way onto the Nintendo Switch. I first played it on an iPad and while I’m not the biggest fan of games on tablets as there are many that simply do not work, certain types do work, that is a fact. The Room is one of these and it is easily one of the best experiences that you can have on one. Luckily then, the version we have on the Switch is as good as any version out there. 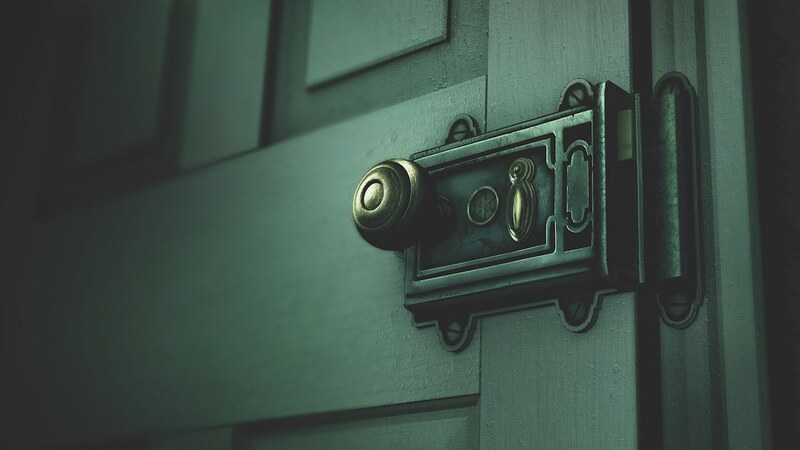 Even though it’s called The Room, I think a more apt title would be The Box, because the main aspect isn’t a room, but instead centred around multiple boxes, each with a multitude of elaborate puzzles to solve. You will be rotating this box an awful lot in order to find switches, buttons, levers, locks, contraptions and so on. If anything on the box looks suspicious, then it is used for opening one of the many, many compartments inside. Anybody that enjoys puzzle games of any type would find some enjoyment here. It’s one of those games that, once you start playing, you won’t be able to put it down. As soon as you find a puzzle, you will not want to stop until you have solved said puzzle. The thing is though, once you complete that puzzle, another will then become open to you, so you will try that one too and in your mind you know you can’t stop until you have solved that one as well. It’s a vicious circle but it’s brilliant in the way it keeps you coming back for more. One of The Room’s biggest strengths is its ability to make you think that there is nothing left to do in a certain section, only to bring you right back to it later on for you to discover that there is in fact even more to do. The puzzles are often complex, but they never felt frustrating to me. The majority of them have a logical solution and as such, don’t feel unfair or as farfetched as they do in other games of this type. Sure, you will be stuck at times, that’s only natural, but it is the way you get stuck in these types of games that, ultimately, make or break the experience. If you do ever get to a point where you feel like you are completely stuck and think you have tried absolutely everything to no avail, there is a hint system in place that will pop up when the game feels like you need it. It never tells you what to do without you saying you want the help, however, nor does it outright tell you the solution to any puzzle. It simply tells you what particular section of the box you should be focusing on. One of the biggest gripes comes in the length of the game. You can finish The Room in just a few hours and it isn’t necessarily that I feel that if I had bought it I would feel short-changed, it’s simply that I just wanted more. Of course, we already know that there are more games in the series. Whether these games are coming to the Switch is another matter but I think that at this point it is likely to happen in the not too distant future. What makes the short length of the game a further problem is with this being a puzzle game, once you know the solution to a problem, there isn’t then any challenge the second time around. Of course being the Switch, it means that not only will the game work in the way it was originally intended – that being a handheld touchscreen game – but, as it also needs to work on the TV, it needs another way of playing that bypasses all touch controls. It does this with the clever use of pointer controls, something that we have not seen an awful lot of on the Switch thus far, but it works well. I have been on record before saying that I love pointer controls, but I know not everybody is a fan. In my own personal experience, the pointer and motion controls felt very intuitive and I would urge anybody to try them out for a short time. Having said that, the best way to play is still the way it was originally intended to be experienced and that is with touch controls. It isn’t often that I would recommend a port of a mobile game, but The Room is an exception. It is a game that simply works on the Nintendo Switch, regardless of whether you play it in Handheld mode or on the TV. The puzzles are clever, unique and engaging. Once you start, you will not want to put your Switch down. Its only real problem is I simply want more.